just a little something to brighten your day…. I just wanted to share this snippet of my day…..it has been quite an odd one. I was doing some research for The Crack Magazine, and walking through Sunderland town (where you meet some strange characters at the best of times) I saw a man dressed in a full suit and wearing a top hat. At first I tried to avoid eye contact thinking that he was possibly on drugs. However, curiosity got the better of me and I looked at him as I passed by…and he tipped his hat at me! I know this is may be a little sad but it made me sort of wish people did do that sort of thing nowadays, such a sweet gesture. Maybe there are still romantics. P.s I hate to admit it but maybe this means i’m missing the boy….I get to see him soon though. Today has been quite hectic, chose the photos from the shoot which will be going in Etc magazine. Don’t want to say too much about them at this stage though because I’m not allowed to post anything until after its gone to print because of copyright….and thats not till Sept! I will tell you this though- we went for 30/40s glamour with military vibe. So looked at the main trends for a/w 10 of high waisted tailored trouser, midi skirts, military (but think WW military not G.I Joe). 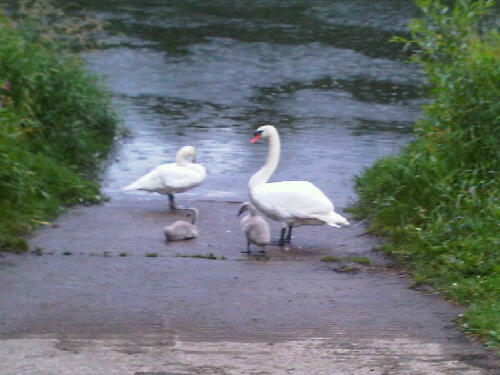 On a different note, I went for a nice walk around the river last night with a friend, we took her dog and it was a nice night, until it started raining…this little swan family made me smile though. Previous Post you know how to whistle, don’t you? 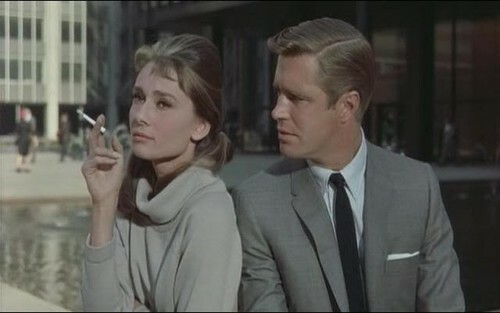 Love that still from Breakfast at Tiffany's! nice post, very romantic photo's! Love it! She is perfect in the movie! i've only seen one of her movies. no wait, two. shame, shame! I always thought Audrey Hepburn and Katherine Hepburn were related, then I learned they weren't. Strange, eh? Aw the cygnets look so cute! Haha hope everything goes swimmingly with the magazine! 😀 I'm sure it'll turn out great. Ahhhh, I love Audrey Hepburn! And this is such a sweet story… You just never know about people, do you? It's my first time on your blog and I love it! Can't wait for more. I love it Audrey Hepburn's photo!! Thank you so much for the sweet comment on my blog!